My birthday precedes my daughter’s by one week. I’ll admit it; when it’s Mother’s Day or my birthday I check her blog to see if I am mentioned. Even when it is not a special day, I get an occasional shout-out in reminiscences of her childhood. So I should surely mention my daughter’s birthday on my blog! But it’s a weaving blog – how can those two be combined? 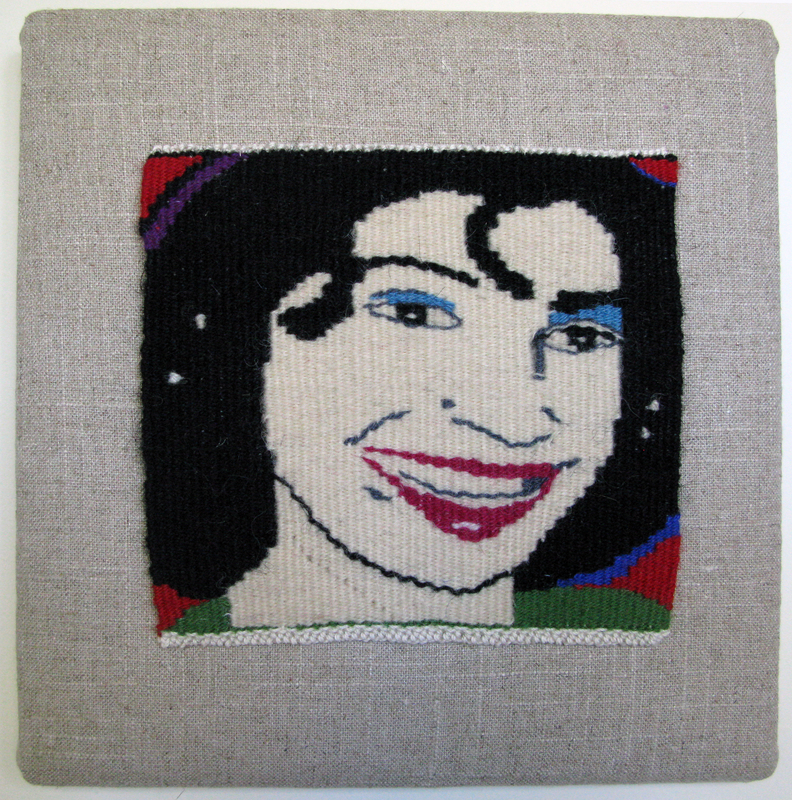 This year that’s easy because I gave her the small tapestry I made of her face, a la Andy Warhol. I intend to make many family tapestries (I only have four so far) and someday have an exhibit of all of them. But I’m sure Margaret will lend me her image for the show! I could also mention a favorite weaving story from her childhood. I was surprised when Margaret once told me that a memorable sound of her childhood was the bang, bang, bang, of the loom as I wove on Saturday mornings. During those years it was one of the few times I could weave, and one of the few times she could sleep.